Yoga holds relevance for all groups of society. Starting from people those who want to stay fit, look beautiful, immune, to those who want the spiritual enlightenment, yoga can help people of all groups. Number of people interested in making a career in yoga is simply huge. Apart from all these, there are also the people who want to create awareness about yoga, its benefits and all. However, irrespective of the purposes as mentioned above, it is essential for the person to have a strong fundamental. On this context, joining our yoga study programs for beginners would be the best recommendation. We at Hatha Yoga School are very much reputed for our programs on yoga for beginners. These programs have been developed to provide the opportunity for the enthusiasts to take the full advantage of yoga. Not just the beginners though; we are equally reputed for our programs for pros. We are enriched with a team of hugely qualified instructors. We at Hatha Yoga School have been in action since 2005. Established within the serene beauty of the Himalayas in Rishikesh, we have been helping many enthusiasts in fulfilling their dream about yoga. The school was established with the sole aim of providing best platform for the yoga beginners, and the higher level Hatha Yoga to all those who want to be the experts. Here we teach the traditional yoga forms as well as the contemporary Hatha yoga, along with Surya Namashkar techniques as well. Hatha yoga is primarily the practice of different yoga poses and breathing techniques to activate the timid parts of the body. It involves all those different yoga poses for beginners as well. Literally speaking, ‘Ha’ means the sun and ‘tha’ means the moon. Hatha yoga practice is meant to make the body absolutely flexible. Various dimensions that the Hatha Yoga iaddresses are Shatkarma or Purification, Asana or posture, Pranayama or Control of Inner Energy, Chakras or Centers of Energy, Kundalini or Instinct, Vandhas or Muscular Force, Kriyas or the techniques of yoga, Nadis or the channels, and Mudras or the symbolic gestures. High-end kitchen providing pure, natural and ayurvedic vegetarian food. Large library having huge collection of books for a greater learning of yoga, meditation and positivity. Students are also provided with the relevant CDs for better understanding. Helps in boosting the physical fitness or core strength. Opportunity to live a quality lifestyle and enjoy authentic Yogic diet. Experience of spiritual growth and development. Opportunity to learn from hugely experienced and qualified yoga teachers. Provides greater knowledge of yoga therapy and Ayurveda. Will increase your physical fitness and stamina. Classes by experienced and qualified yoga teachers. Knowledge of yoga therapy and Ayurveda. 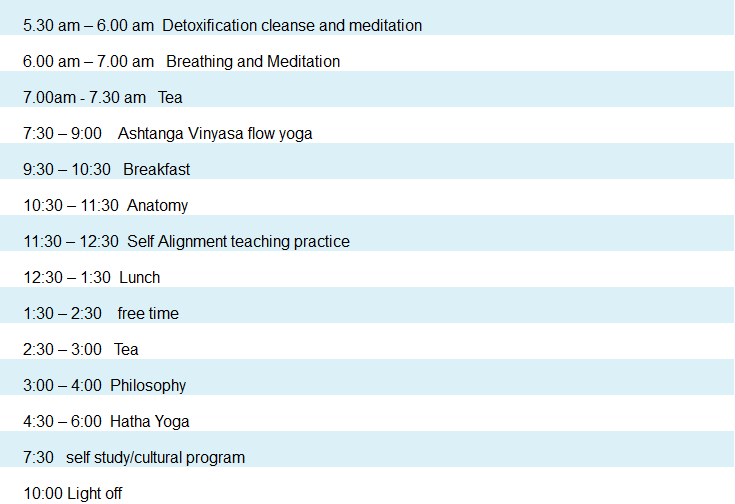 Classes (including yoga exercises for beginners, meditation, and pranayam). Kitchen with best facilities for providing best quality vegetarian foods. High-end accommodation facility including both air conditioned rooms and non a/c rooms. Huge library with a large collection of books about the art of yoga, meditation and a positive living, along with CDs. Our yoga classes for beginners are simply the best in the world. We set the most suitable environment where a learner can get the proper scope to learn different aspects of yoga. These classes are like the building blocks of fundamentals for someone who wants to reach the ultimate level of success. With the whole range of modern facilities, we have managed to be the most celebrated names regarding yoga for beginners in Rishikesh. I am thankful to god that I came to Hatha School of Yoga for yoga beginners’ course. I learnt so many styles of yoga during my 28 day stay, which was quite interesting. Now I can get back to my country and open up my own school. The teachers were so good and adapt in making us understand about various yoga poses and meditation. Follow the rules and regulations without complain. Have to follow the timings for sleeping and getting up. Have to maintain the timings for food. Has to stay inside the campus after 10:30 at night. Be punctual and consistent in attending classes. Live a yogic life without getting distracted. Respect fellow students, teachers and staff of the school. 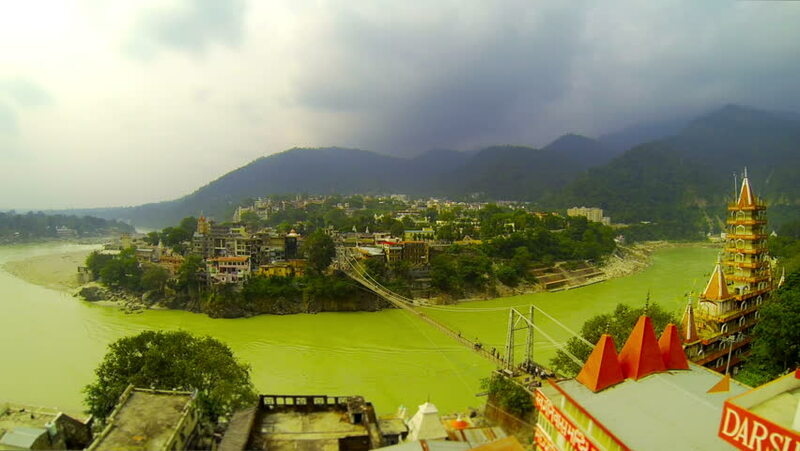 Rishikesh is rich in natural attractions that set the perfect environment to learn the simple yoga poses for beginners, as well as those of higher levels. The joint efforts of Sivananda Yoga and our adept yoga teachers has made it possible for us to be the most celebrated center of yoga for beginners in Rishikesh. At the same time being the most popular school providing yoga course for beginners in India, We also provide the ashtanga yoga courses in India. These are all strategized by the top officials of the school. No matter you are looking for a school to learn the basic programs like 200 hours training programs, or high-end hatha yoga school for beginners in Rishikesh, we are always the best recommendations.